Tails of Two Cities, or The Great Columbus, Colorado County, Canada Cat Compromises. Admittedly, there’s a slight difference in size. Columbus, Colorado County, Texas has a population of just under 4,000 while Ottawa, Ontario, Canada has roughly 812,000 residents. But if one factors in the populations of Columbus’ satellite communities of Glidden and Alleyton, Columbus’ population then swells to well over 4,000 people, narrowing the gap. Similarities between the two cities abound. 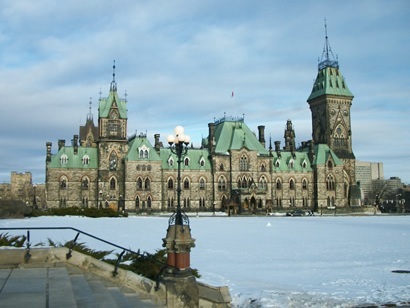 Ottawa is the capital of Canada, while Columbus is the County Seat of Colorado County. Both sit on the south sides of rivers. And, (get this) both rivers are named after the county and/or province. What else do these cities have in common, you ask? “Not much,” I answer. But there is a feline connection. Both places have had a common problem with cats and both places have independently come up with sensible and compassionate solutions. Columbus cats when they had the run of the place. Residents of Columbus have long been known for their big hearts. 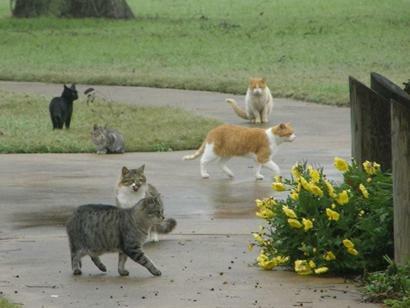 But in the not-too-distant past, big-hearted Columbians were aghast to find the cat population that lived near the town square was being poisoned. Something needed to be done. A few members of the big-hearted tribe came up with a solution: catch the whiskered ones, spay and neuter them, give them shots and then release them on the east side of the Colorado River – in a beautiful, under-used county park. Local volunteers feed and water the cats at planned intervals and predictably, the cats quickly adjusted to the routine (read immediately adjusted). In warmer months, the moss-draped, riverside landscape began to resemble a Henri Rousseau painting albeit with fewer sleeping gypsies and a lot more Live Oak trees. There was a slight wrinkle in the plan when the cats mistook the Columbus Garden Club’s beautification flowerbed as an expansion of bathroom space. The cats were moved further down the river bank. 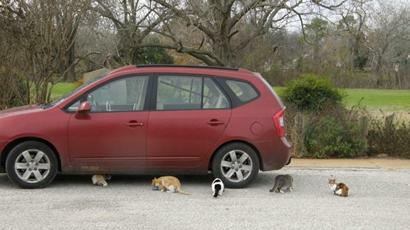 The installation of durable signs discourages people from feeding the cats. 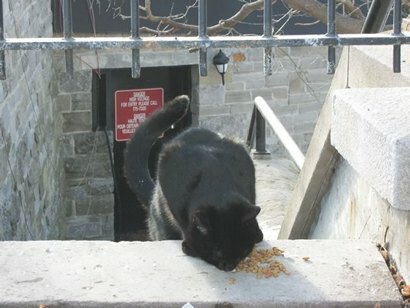 Today it’s harder to visit the cats but volunteers are still permitted to feed and water their wards. 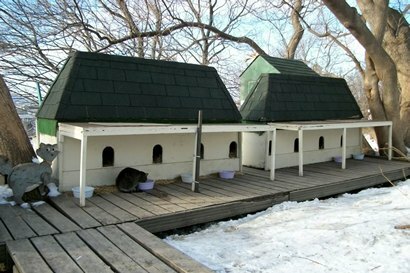 This relocation makes it more difficult for people to adopt the cats – and adopt them, they did. Earl, a handsome Tom that used to give visitors tours of the colony was adopted by visiting tourists and now resides in a chateau overlooking Lake Lucerne (or so I was told). Congratulations to the big-hearted volunteers of Columbus and the understanding members of the Columbus Garden Club who recognize the power of cooperation and know that communities, like people, are often judged by how they treat their four-legged citizens. The past. Please do not feed the cats now. Visitor from Taft, Texas gets a tour in December. 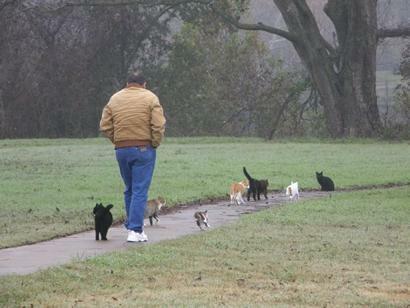 Fast-forward to the 1970s when the cat population was fed by a single volunteer. (A poignant note tells the story.). 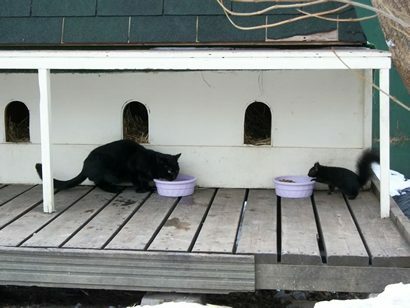 As he became less able to care for the cats, a small group took over the duties, feeding both cats and their frequent dinner guests (drop-in raccoons, squirrels and groundhogs). Annual shots and checkups are provided free of charge by a local Veterinary clinic. One time a change of government prompted a new member to declare the cats “a disgrace,” wherein the opposition party's impassioned response that "these are our cats. They belong here!” had the same effect as the "Have you no sense of decency, Sir?” speech that unseated Joseph McCarthy in the U.S. 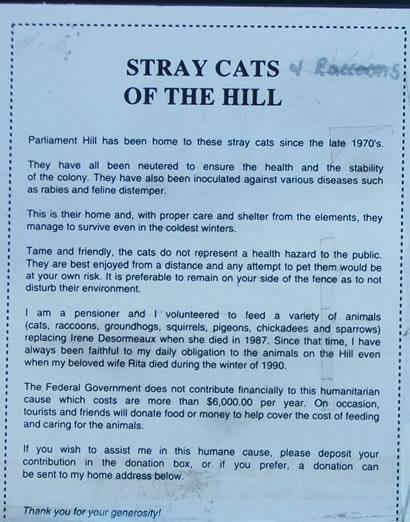 The cats' place on the hill was assured. Instead of being a disgrace, the cats have become famous. Tourists seek them out and the volunteer caretakers continue their rounds, year-round. A drop box for donations is present at the site. 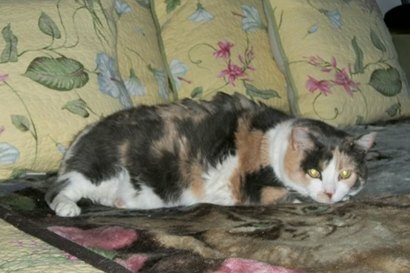 One cat (named Brunette) recently died at the age of 19 years. Brunette had been BOH (Born on the Hill) as had Brownie (pictured in the first photo). Other residents include Coal, Tigres and Moo. 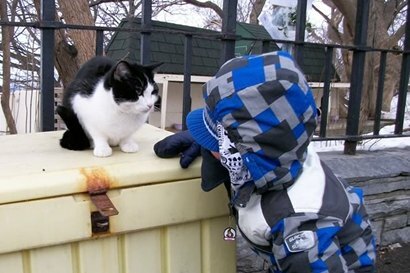 The cats can be viewed on You Tube through a number of clips uploaded by visitors. 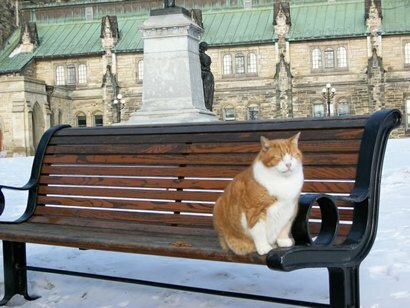 A Search for Parliament Hill Cats will bring up clips showing the sanctuary with its residents as well as their drop-in guests. "Moo" with a young admirer. "If you touch me, you'll understand what happiness is." "Coal" breakfasts with a black squirrel. "Coal" dines al fresco without his squirrel. 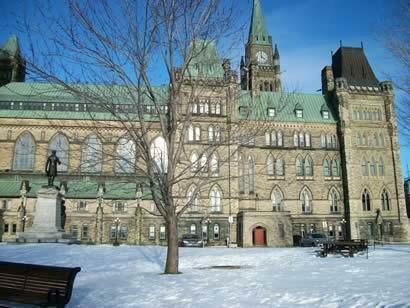 All Canada photos by webmaster Kate (“which-button-do-I-press?”) Troesser. 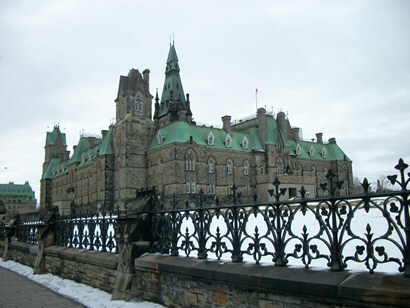 The editor wishes to express his thanks to the Winter Sisters of Ottawa who took excellent care of the webmaster during her stay there and aided in the story. All are active members of FOAP.